Pioneers of Augmented Reality activities for children and designers of the most unique, cool and world-class S.T.E.M. 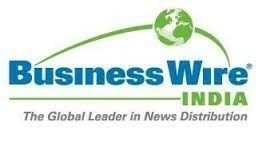 learning based educational D.I.Y. 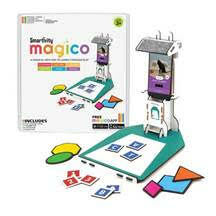 Toys for children between 3 to 14 years of age, Smartivity introduces the MAGICO KIT. SMARTIVITY MAGICO KIT is all about Smarter Learning | Visual Thinking | Problem Solving Skills Creative in the Blended learning category which is all set to empower your child with fundamental concepts in Mathematics, Language (English) and General Awareness through this technology-powered, fun experience called Magico. Blended learning is an e-learning approach combined with traditional classroom methods and independent study to create a new, hybrid teaching methodology. It is much greater change than simply adding computers to classrooms; it represents a fundamental change in the way teachers and students approach this significant learning trend. While the educators around the world have adopted the different forms of learning, India is on its way, making headway in digitising the learning process. Blended learning in India is a newly adapted process, that is reshaping the ways of teaching and learning and Smartivity is delighted to introduce the MAGICO KIT in the Blended learning category. Magico blends cutting-edge Computer Vision technology with sensory play (Tactile Learning) to deliver a magical, mind-body engagement-focussed experience that the next generation demands and deserves. Transform your smartphone into a powerful educational tool for your child and elevate the passive screen-time to constructive, learning time. Magico’s multi-sensory approach encourages your child to explore the worlds of Numbers, Alphabets, Shapes and Colours in a unique, innovative and play-filled environment. Educational objective: Learn numbers, addition, alphabet, spelling, shapes and colours builds creative thinking, confidence and problem solving skills. Blended learning activity powered by computer vision technology enhances math, language skills whilst developing visual thinking, problem solving and creative ability. It also bridges the digital and physical worlds for children through play.